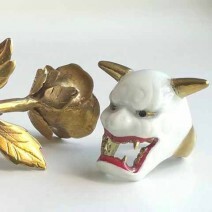 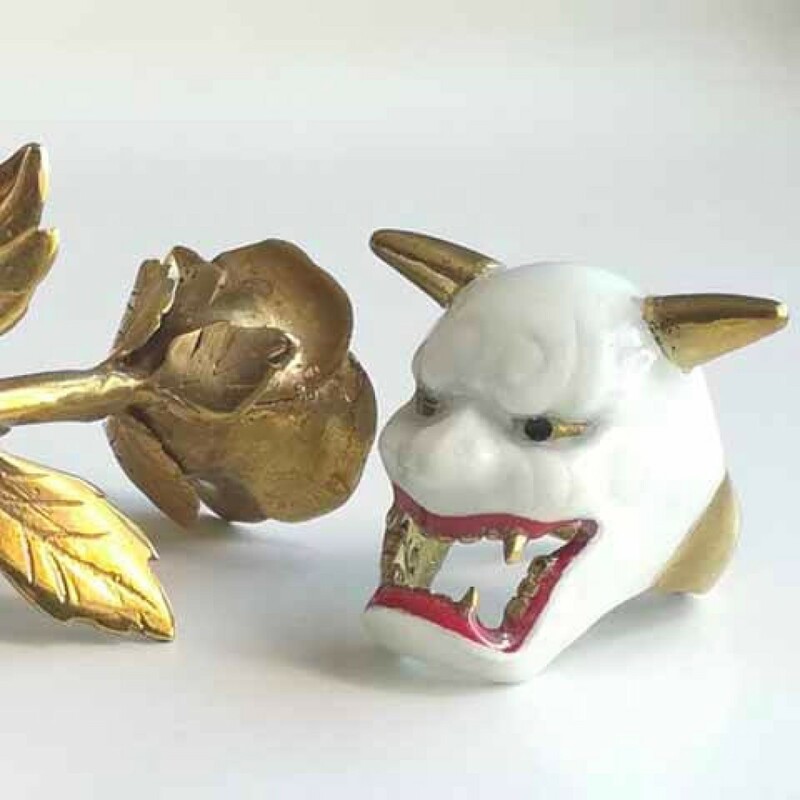 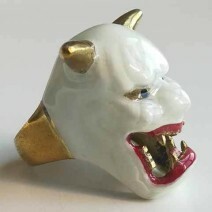 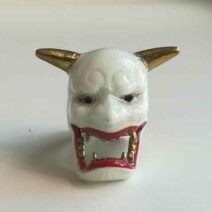 A fierce Hannya mask ring representing a jealous female demon or serpent creature. This Japanese Oni mask is handmade in brass and enamel with two pointed horns, menacing eyes and sharp teeth. 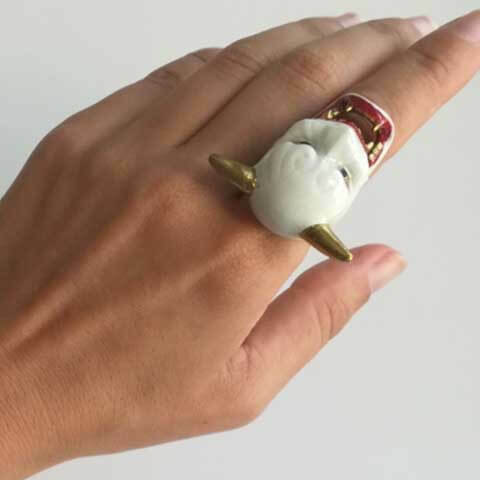 Will add a badass touch to your outfit.